The American Standard Gold 824 Nexia Control Hub & Thermostat is equipped with a built-in Nexia Home Intelligence Bridge. 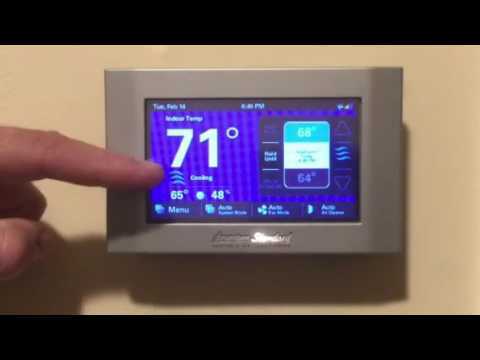 With this smart thermostat and hub in one, you can remotely control and schedule the thermostat and over 200 additional Z-Wave products throughout your smart home from any internet enabled smartphone, tablet, or computer. No need to buy a smart hub seperately, this is two smart devices in one. One touch installation set up with six preset configurations. Reduce your heating and cooling system's energy consumption. Filter, maintenance and humidifier reminders.